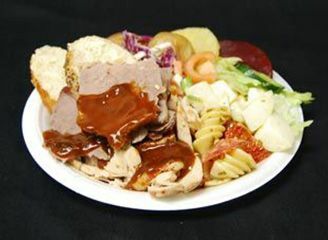 Beef, Pork, Lamb, Chicken with Salads or Hot Vegetables, Potatoes and more! A menu and budget to suit every occasion! Our budget menus are the same quality as our top menus, only the service, size and variety increases. This menu is a “Value for Money” menu and is ideal for casual functions. 4 Salads or Veg, bread, potatoes, carved roasts. Our most popular menu! 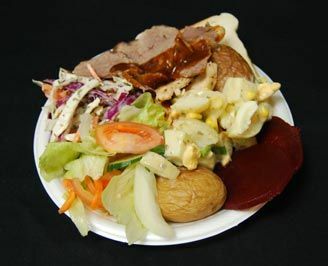 More Salad or Veg variety, french sticks, potatoes, carved roasts, condiments, option of fully catered.